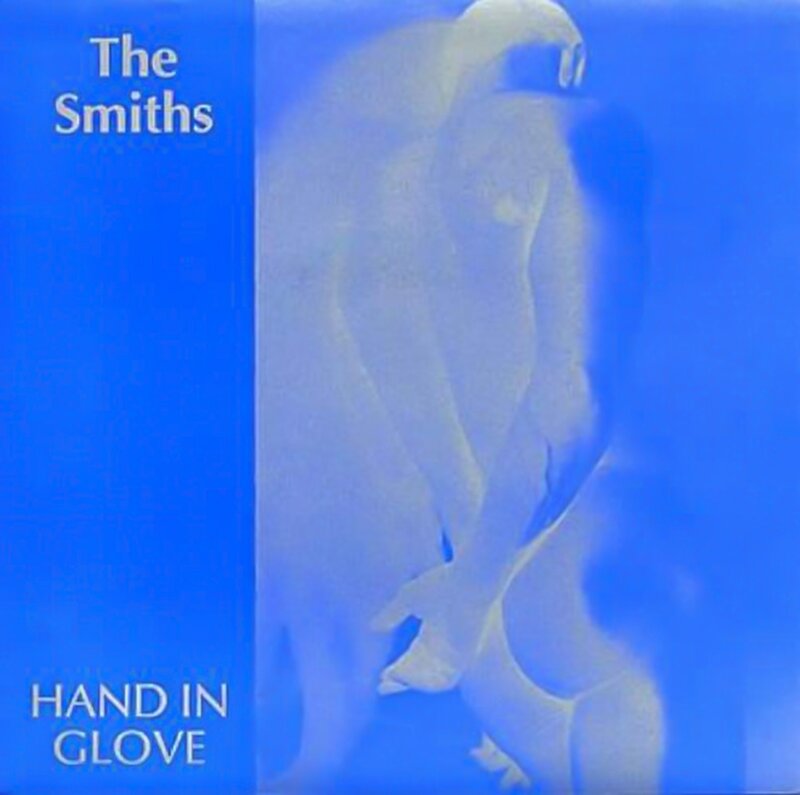 "Hand in Glove" is a song by the British alternative rock band The Smiths, written by singer Morrissey and guitarist Johnny Marr. It was released as the band's first single in May 1983 on independent record label Rough Trade Records. For unknown reason a few copies with a Negative version of the original sleeve they came into circulation. Distribution in 1988 when I worked there. I was asked to keep an eye on them in the warehouse basement so no one could grab a copy. There may well be only 14 copies left in existence as I believe the pallet was returned to the printers to be destroyed that same day."